Join us for our monthly Travelogue with presenter Dorothy Dare of the Society of Woman Geographers as she takes us across ancient trading routes which fostered some of the earliest examples of cultural exchange and globalization. From the second century BC to the end of the Fourteenth Century AD, the Silk Road linked China with the Roman Empire. The Silk Road has been compared to today’s Internet, as it functioned, not only for the trading of luxury goods, but also as the conduit for the cultural and religious exchange. 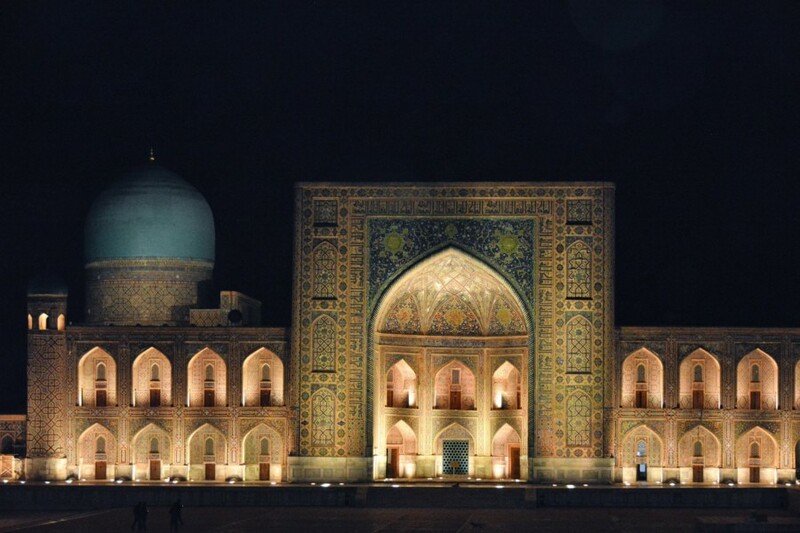 In 2018 Dorothy traveled to Turkmenistan and Uzbekistan, crossing the desert and stopping at principal cities which prospered on the Silk Road, including that most prestigious: Samarkand and Bukhara. The GSC’s Travelogue series is always free and open to the public.